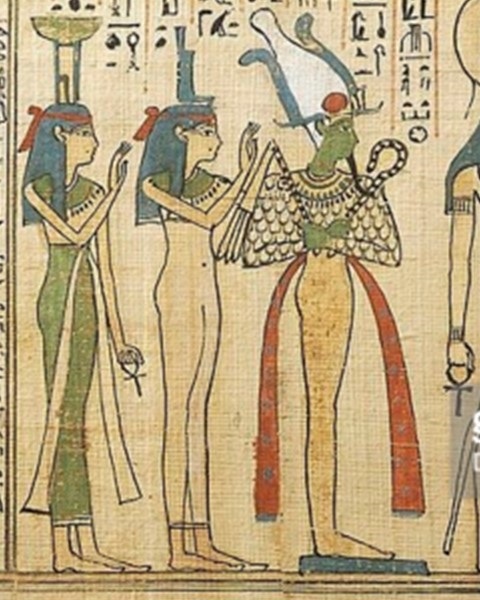 In that typical ancient Egyptian scene of Isis and Nephthys behind Osiris, the artists of Ancient Egypt applied mainly the technique of juxtaposition. This way what we see is the two goddesses in the same plane and it is usually Isis who appears in the foreground as if she was preceding her sister Nephthys. 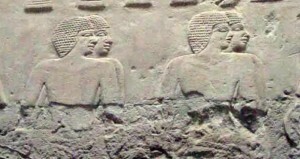 Which was the reason of depicting the two mourners of Osiris with this technique? The superposition was one of the ways the artist of Ancient Egypt had to making a pair, a group, an amount… as much complete as possible. By drawing one thing or person one besides the other, they assured that the image was not incomplete and that point was very important in sacred scenes. If an image was incomplete, it was less effective. And for the dead the effectiveness of both professional mourners was crucial. Book of the Dead of Djed-Hor. Roman Period. Photo: Hildesheim Museum. It was supposed that Isis and Nephthys were behind Osiris and one besides the other. 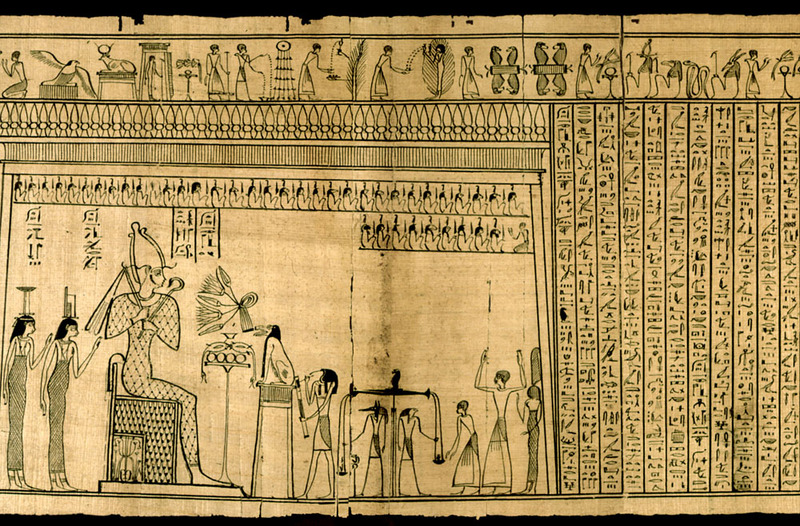 However in two-dimensional art the ancient Egyptian artist depicted one in front of the other just for making both complete, so effective for the dead’s resurrection. But…this was always like that? No the superposition was also applied to this scene..